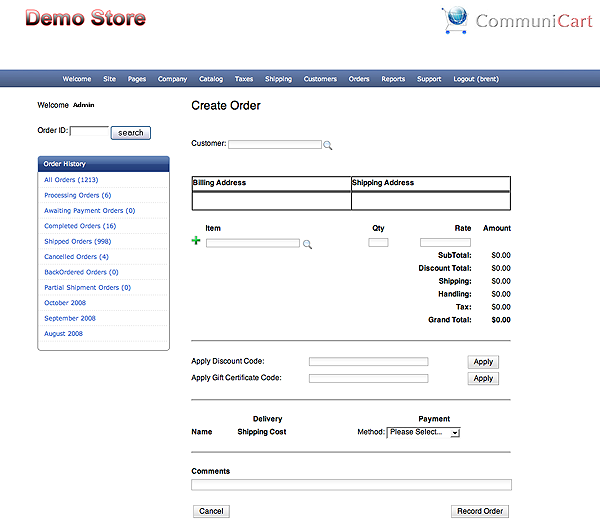 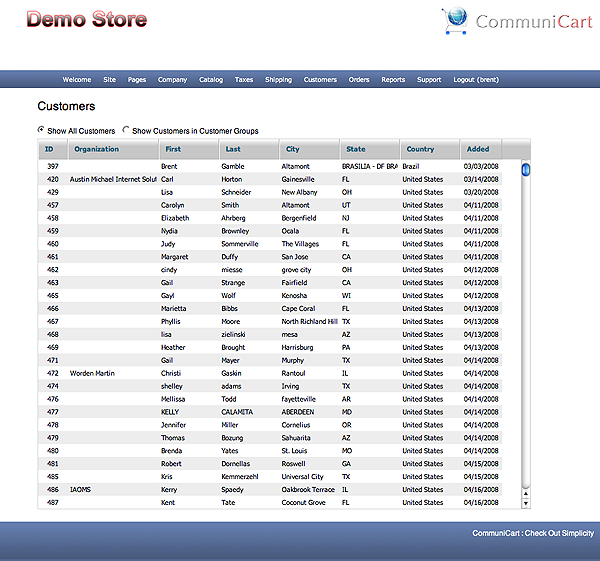 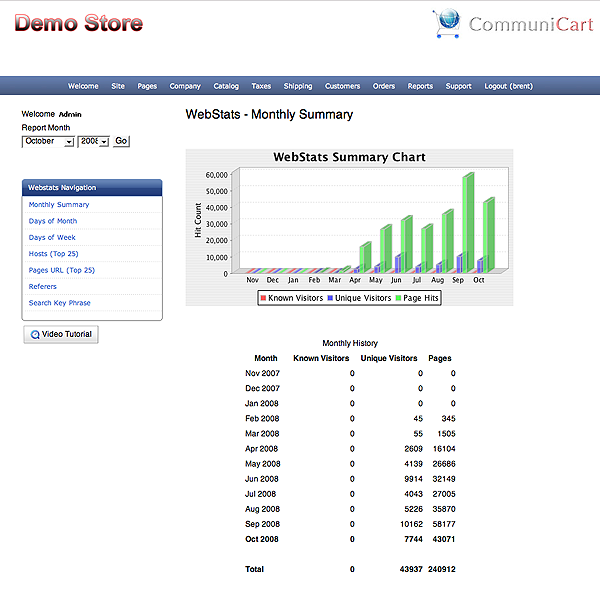 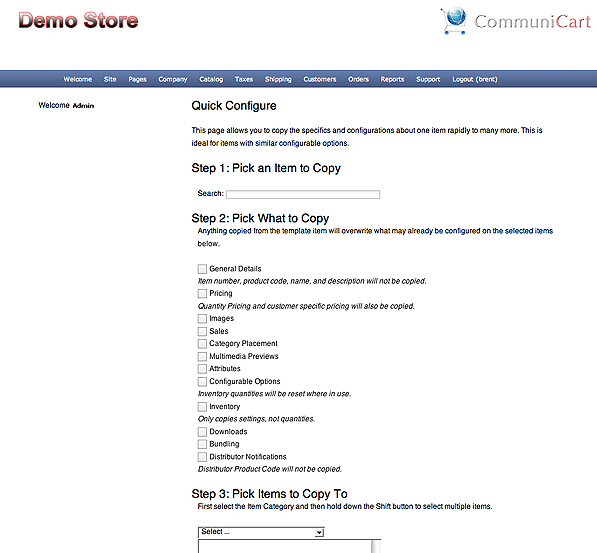 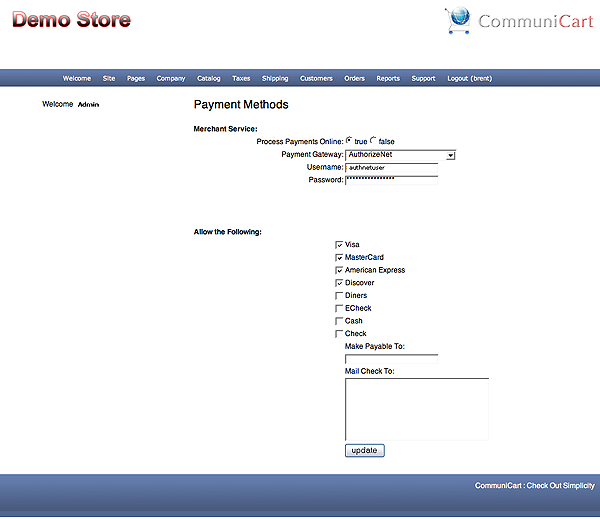 Below are some examples of the extensive Administration capabilities of CommuniCart. 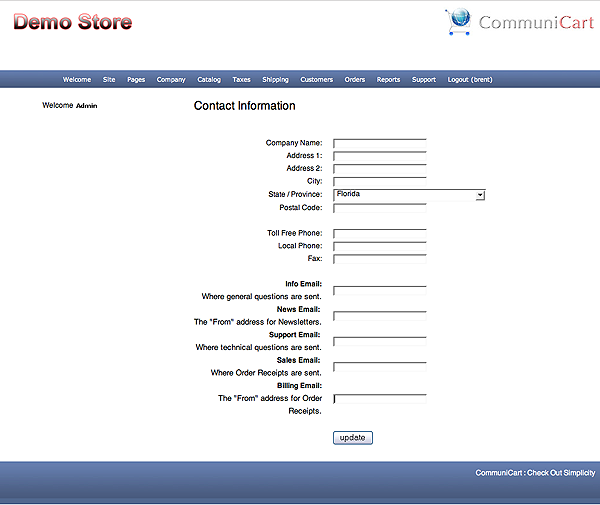 We have found that our clients become very familiar with this section and we constantly strive to make it even more user friendly and effective in order to make your job easier. 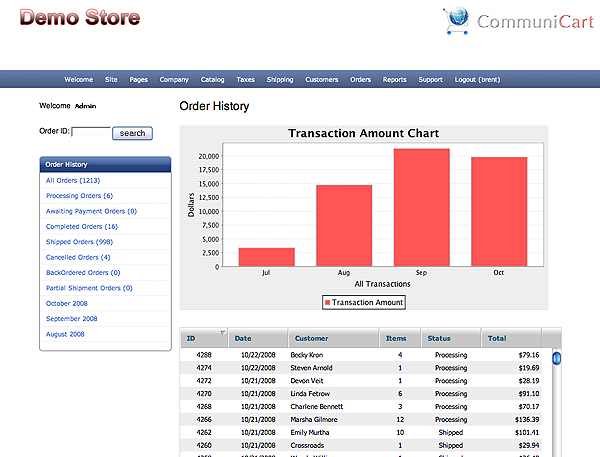 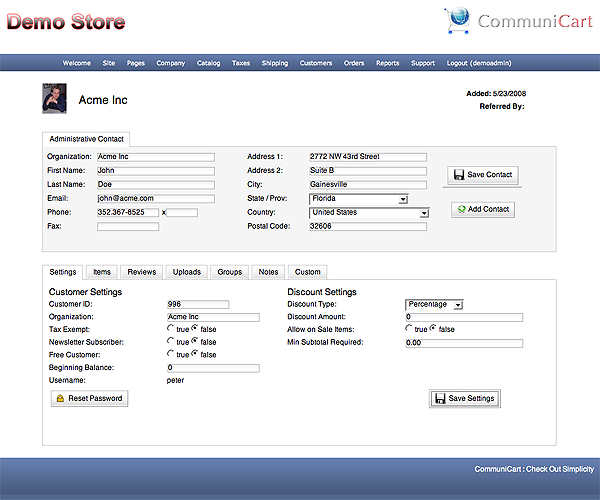 Tracking Information about customers is very important for successful business. 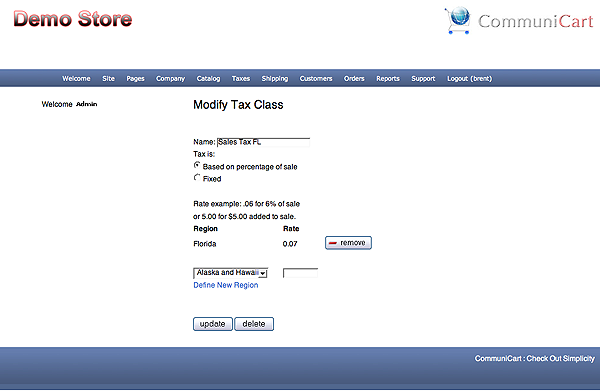 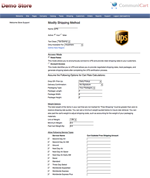 Create your own shipping methods and rates. 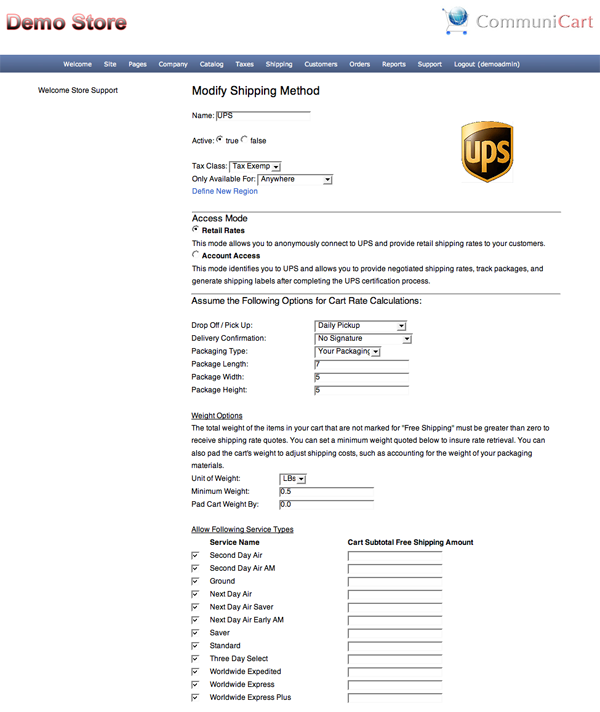 Name the shipping methods the way you want them.